Crystaltech is one of the first companies to update its entire fleet of vans with the new CEDA logo. The company is undergoing the major rebranding of its vans to accommodate the new logo of distributor association, CEDA. All 60 vans are being updated at a rate of 5 vans per week, with 15 completed last week alone! “As one of the UK’s leading warewashing maintenance providers, we need to ensure we remain as up-to-date as possible and the new eye-catching CEDA logo acts as an assurance, of our trade body affiliation, to our customers. 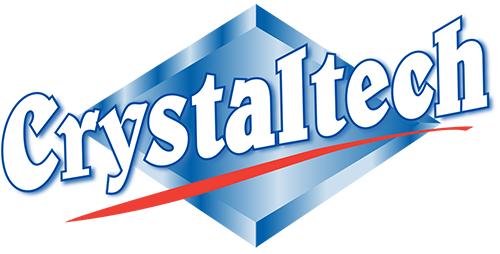 Our vans represent the company and its services and, as such, have to look professional,” says Derek Maher, MD of Crystaltech. CEDA is the premier trade association representing the most professional Catering Equipment Companies in the UK and announced the rebrand earlier this year. CEDA has fully rebranded with the double aim of increasing business profile for its members and partners, and also appealing directly to foodservice and hospitality operators looking for outstanding design, installation and service relating to kitchen and front-of house projects across all sectors.